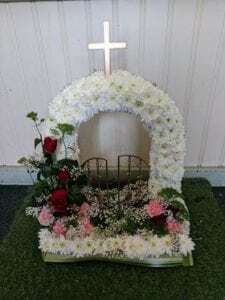 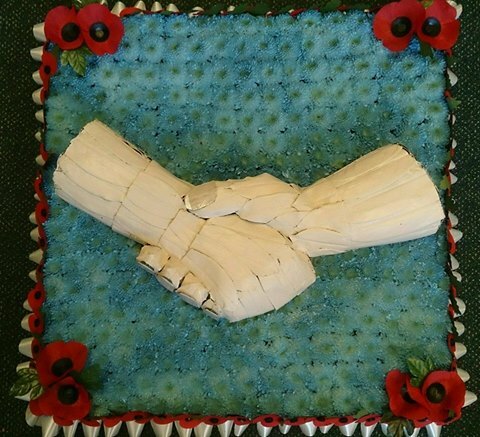 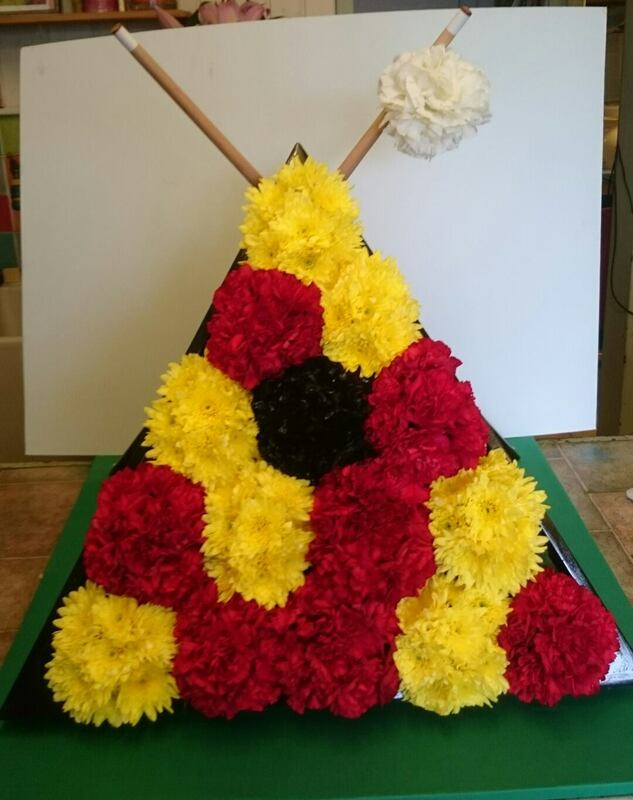 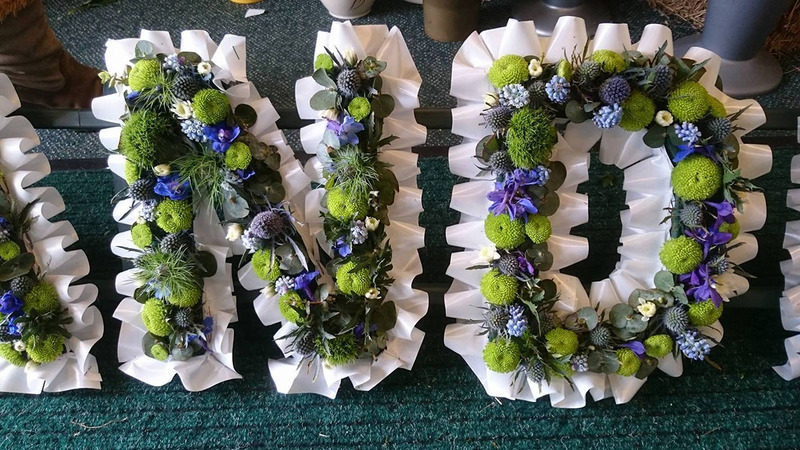 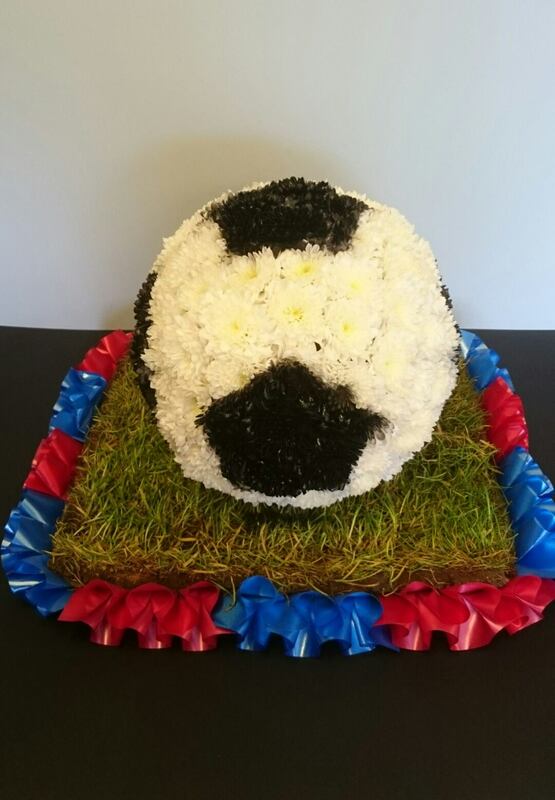 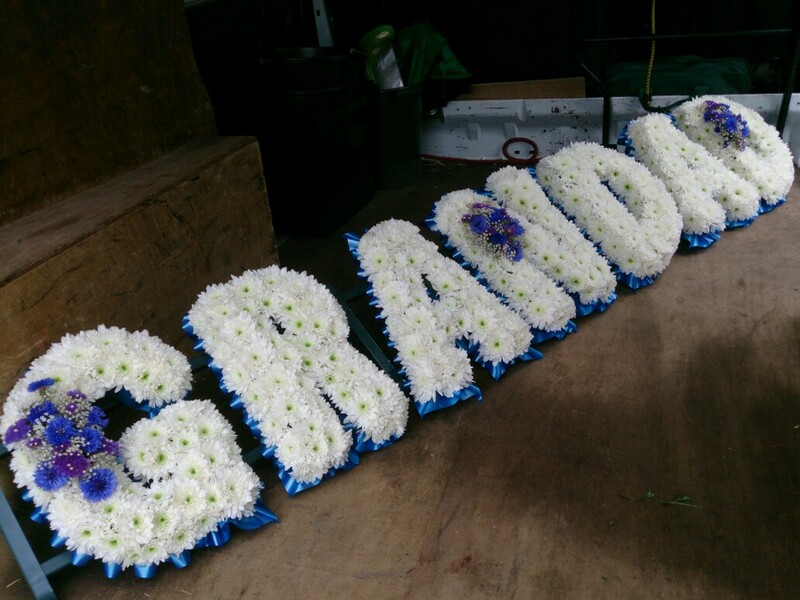 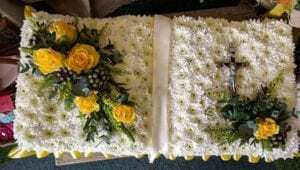 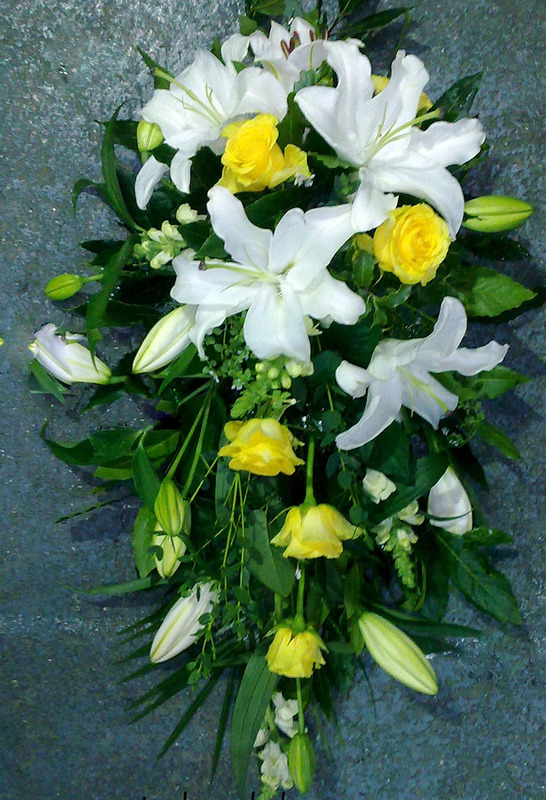 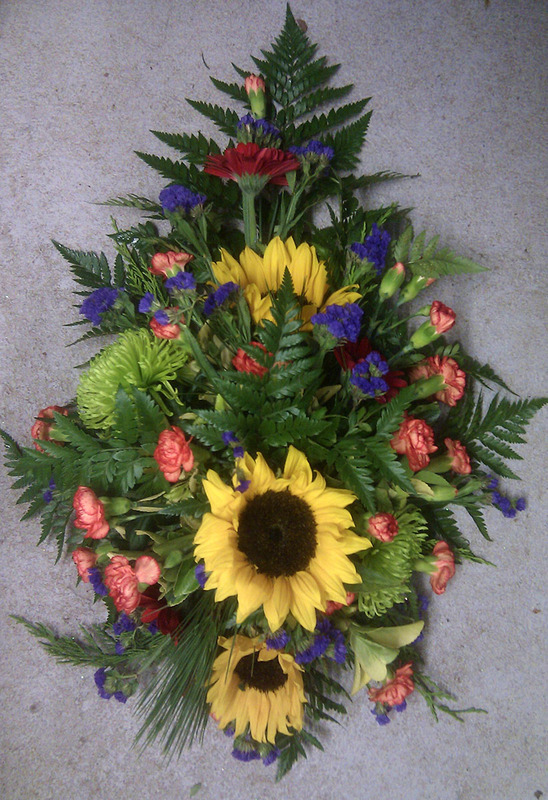 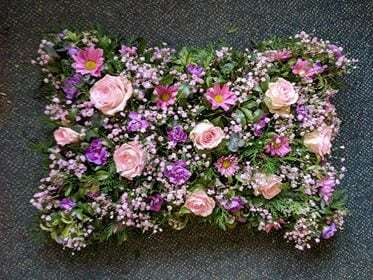 All funeral pieces/tributes and arrangements can be made in different styles and colours. 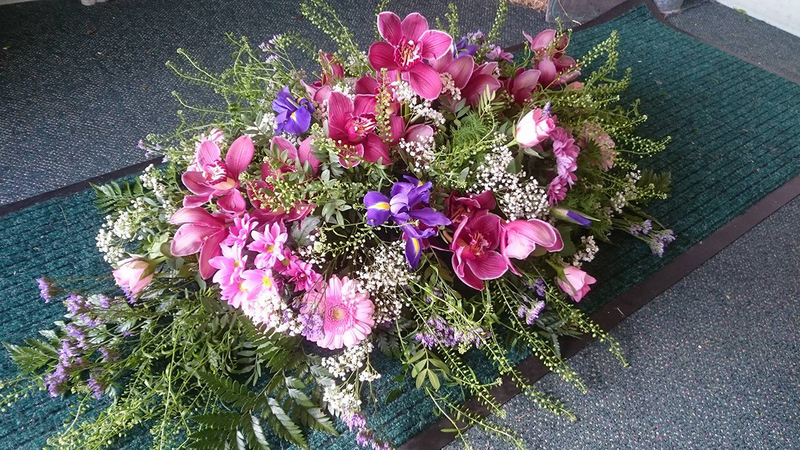 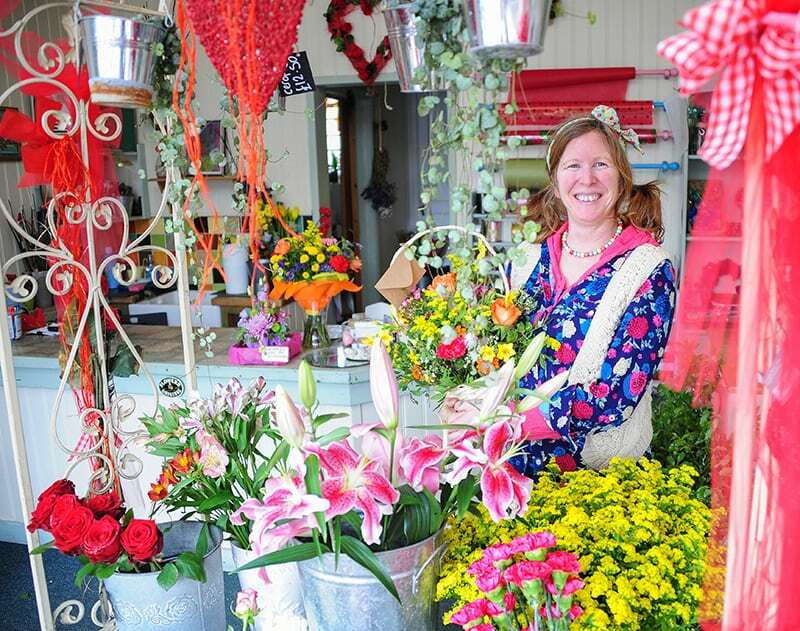 All floral arrangements are made with the upmost respect and care for your loved ones. 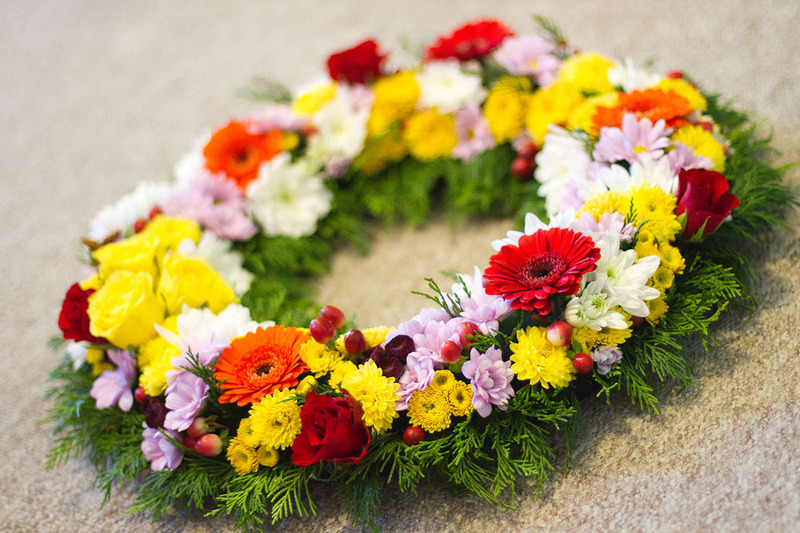 Personalised tributes can be made for a special hobby or subject that everyone knew your loved one for, adding a touching memory for a personal farewell. 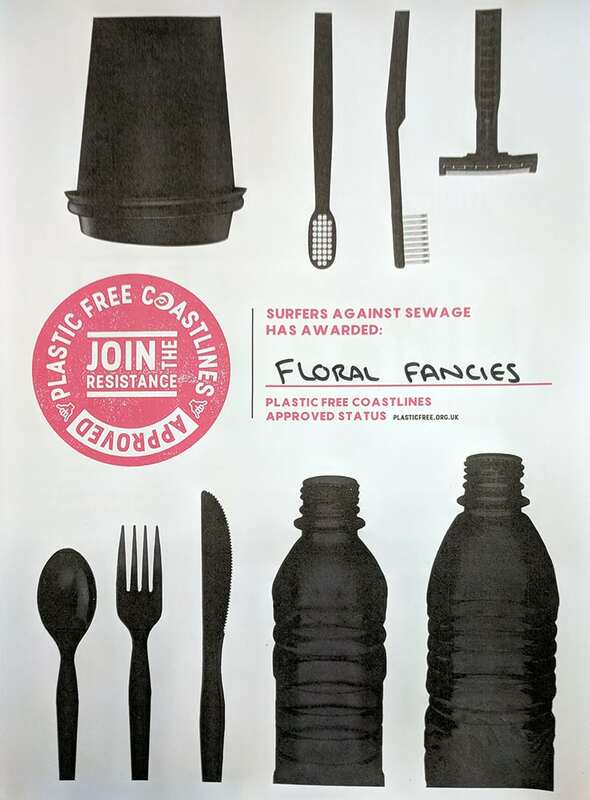 As we hold a plastic free status we no longer make plastic ribbon edging for tributes , we now use a foliage edging on all our tributes .